Concert with Scriabin’s Prometheus at the Beyeler Foundation on November 4, 2016 . 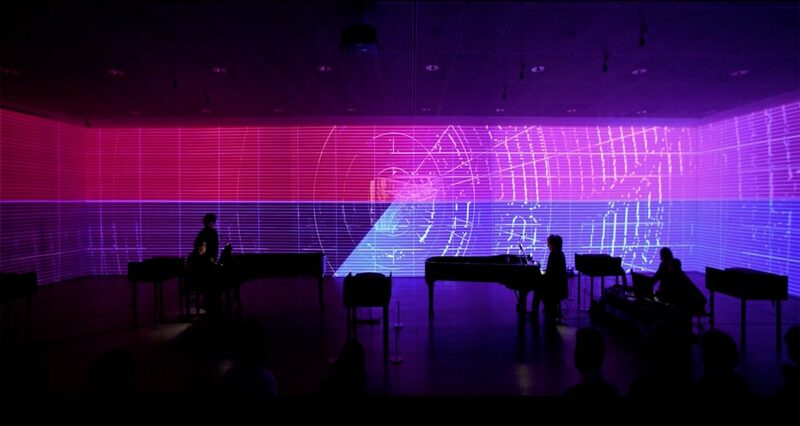 Rudy’s success playing Scriabin’s Prometheus in Sabaneiev’s transcription for two pianos, accompanied by a light & coulour installation of Arotin & Serghei, led the Beyeler Foundation to exhibit the live recording of the concert as part of their Der Blaue Reiter exhibition until January 22, 2017. The performance is now shown to the public at the exhibition in its totality.